After winning this seasom's Merit Award that was honored by Fashion Scout, EDDA received a fully sponsored presentation during London Fashion Week with space to host press and buyers. 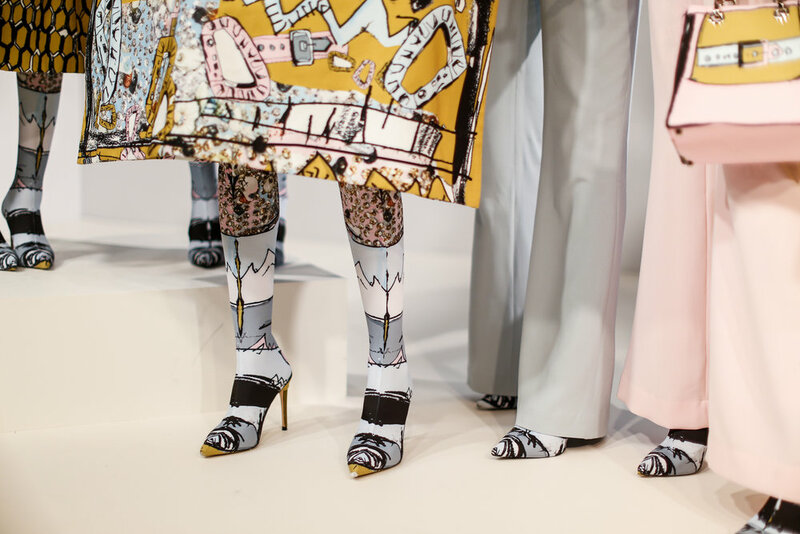 The SS18 collection Kuneska, EDDA continues to embrace the spirit of naivety, playfulness, imperfection and quirkiness through her distinctive child-like illustrations. Digital prints are drawn with her non dominant hand, a style of sketching that was refined whilst studying at London College of Fashion. Working in reverse order, EDDA’s illustrations are created first, allowing for pattern cutting to follow naturally from the scale of print. The tone of the season is sophistication, with a mature colour palette of olive, mustard, hues of grey, light pink and blue teal all accented with decadent colour pops of egg yolkyellow. 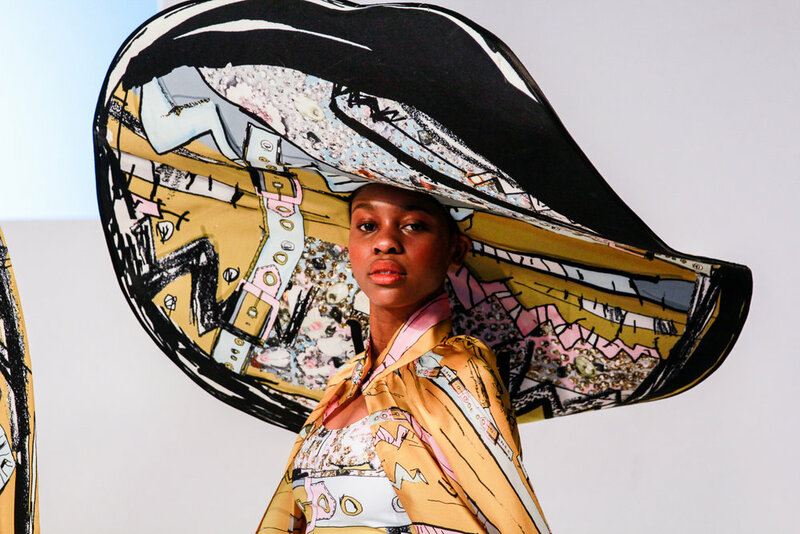 EDDA returns with her distinctive pattern cutting and oversized wide brim hats. Exposed skin makes an appearance, contradicted with bellowing cover-up capes, knee length trench coats and box jackets. Glamorous 50’s cut full skirt dresses are mixed with utilitarian buckles both physical and printed life like sketches. Accessories continue to play a strong part in the brand with colourful printed handbags, belts, headbands, hats and boots that extend to the thigh. Despite the more grown-up aesthetic of the collection, the core identity of the brand remains. The Norwegian designer contrasts textures using fabrics of cotton twill, canvas, silk, cotton mesh and crepe, layering to create depth in each garment in a unique way. Her latest collection is a true marriage of fashion and art with surface decoration, lend- ing to the theme of glamour and decadence.